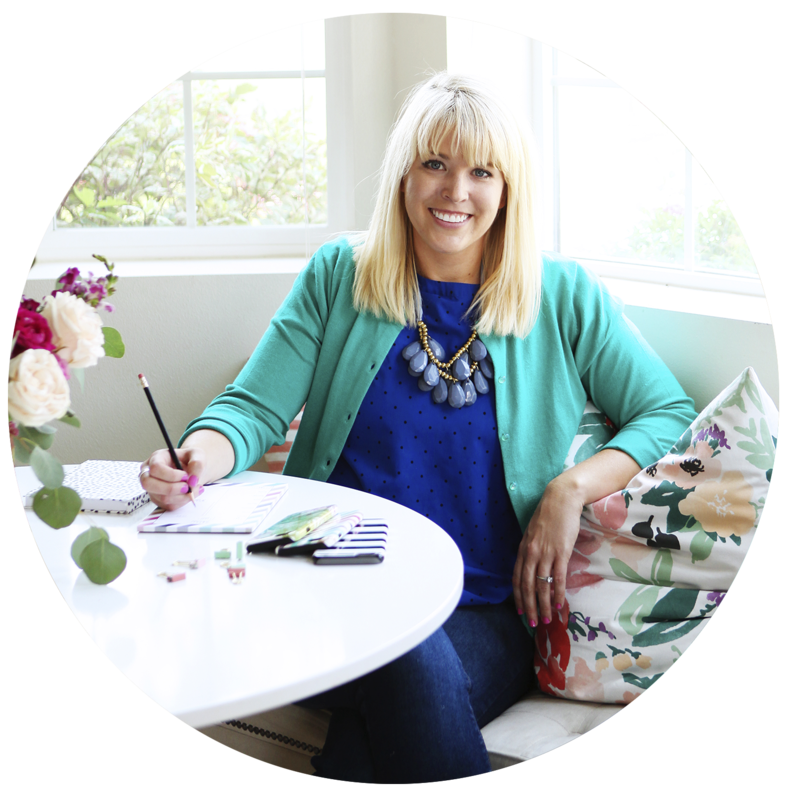 My perfect match this Valentine’s Day is a treat that feels indulgent but is actually filled with tons of nutrients. This year for Valentine’s Day, I’m keeping it healthy as I’ve been trying to cut back on unhealthy sweets in the New Year. These Raspberry Chocolate Yogurt Bowls with FAGE Total 0% Greek Yogurt are delicious, creamy, and filled with protein and calcium. With some fresh raspberries and a little chocolate, they feel indulgent and special, without going overboard on the sugar. 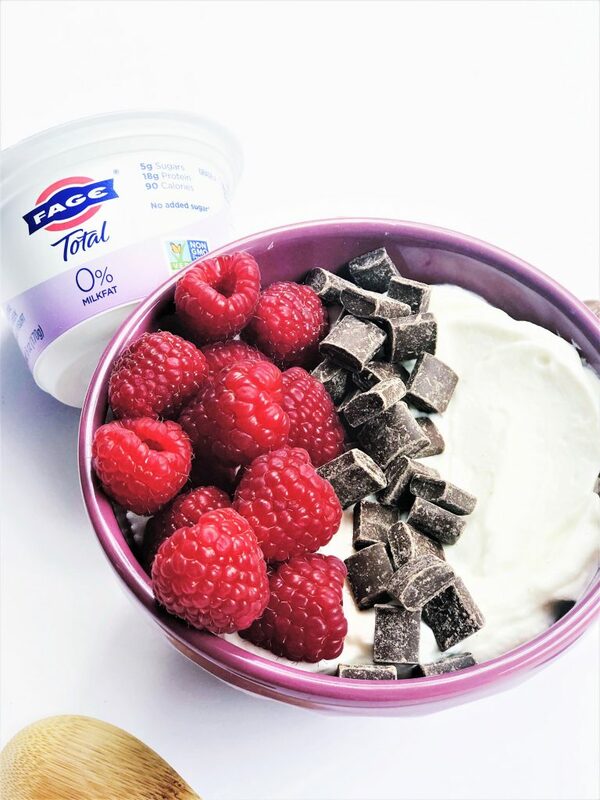 Instead of cookies, brownies, or cake for dessert this Valentine’s Day, my husband and I are opting for this all-natural FAGE Total 0% Greek yogurt with our favorite fruit and chocolate. Raspberries and chocolate make the perfect combination on these bowls. Combined with the creamy yogurt, it’s a great balance of fruity tartness, creaminess, and sweet. 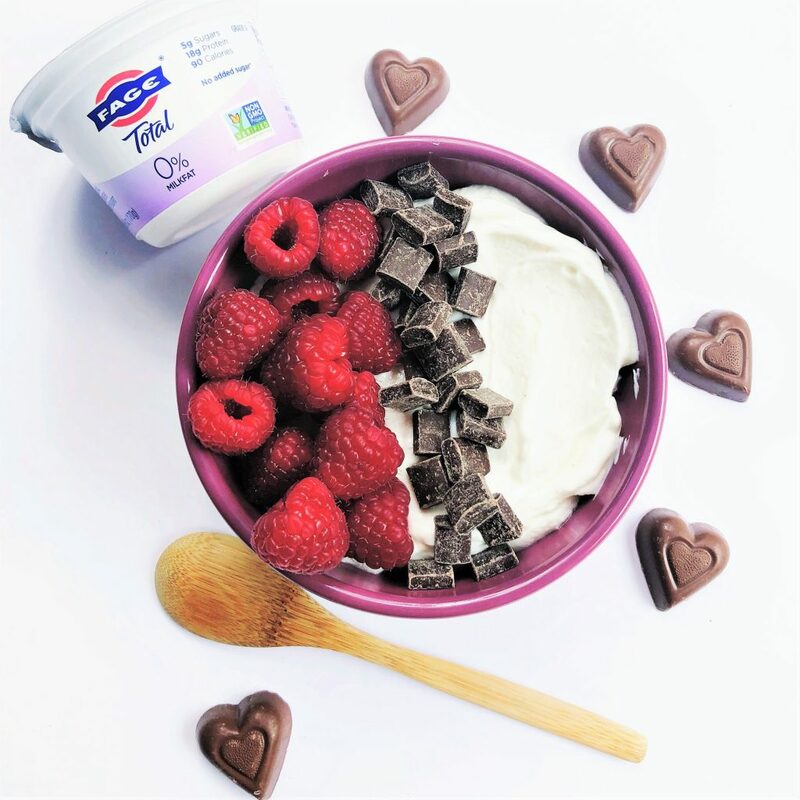 To make these, simply layer FAGE All-Natural Greek Yogurt in a bowl, then add raspberries and chocolate, or other toppings of your choice; it really does pair perfectly with your favorite toppings. 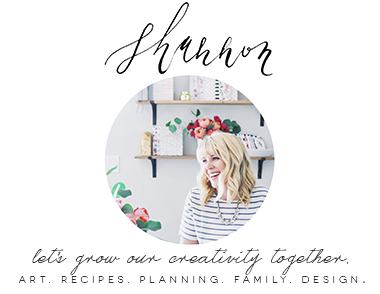 Click the video below to see how I assembled these Raspberry Chocolate Yogurt Bowls. These Raspberry Chocolate Yogurt Bowls could also make a great breakfast for your kids or family on Valentine’s Day. Click here to learn more about FAGE’s different plain creamy yogurt options. Click here to see how to incorporate FAGE into some delicious recipes! 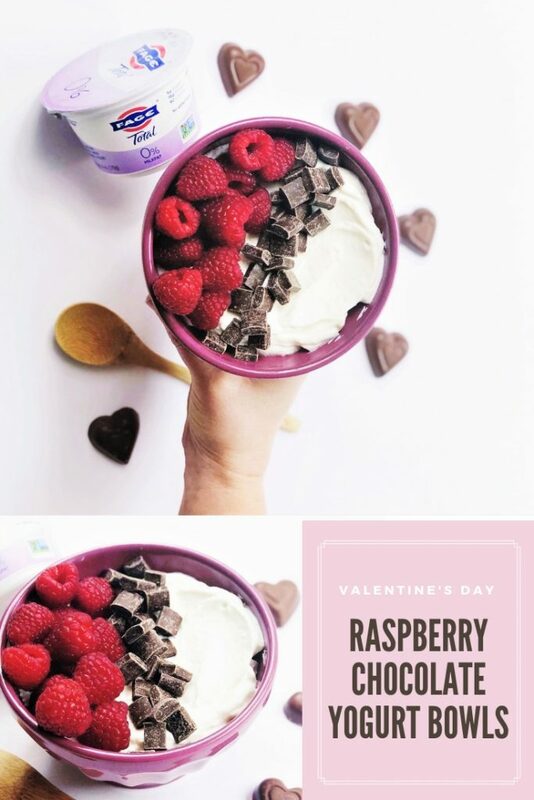 Be sure to tag me @plumstreetcollective if you these Raspberry Chocolate Yogurt Bowls for Valentine’s Day. I’d love to see your fresh and colorful photos. Here’s to a happy – and healthy – love day! That looks so tasty and so romantic! This is such a great Valentine’s Day idea. This looks so beautiful! And raspberry and chocolate is an unbeatable combination if you ask me. YUM! thanks so much! we loved them. These yogurt bowls look oh so delicious! I’d definitely be temped to have these for a weekend breakfast. This is such a great idea!! I think I’m going to make this for my son on Valentine’s Day! I love Fage! Thanks for sharing! Wow! this is what I would want to have for my valentine, this is the perfect combination. I love this idea! It’s so simple to make, and looks so delicious too! Great recipe. Hmmmm yum! This Raspberry Chocolate Yogurt looks sooooo delicious! Can’t wait to try this one! Can I also add blueberries? This Raspberry Chocolate Yogurt sounds really yummy and still healthy. Perfect for snacks or breakfast. Mmm this looks delicious! 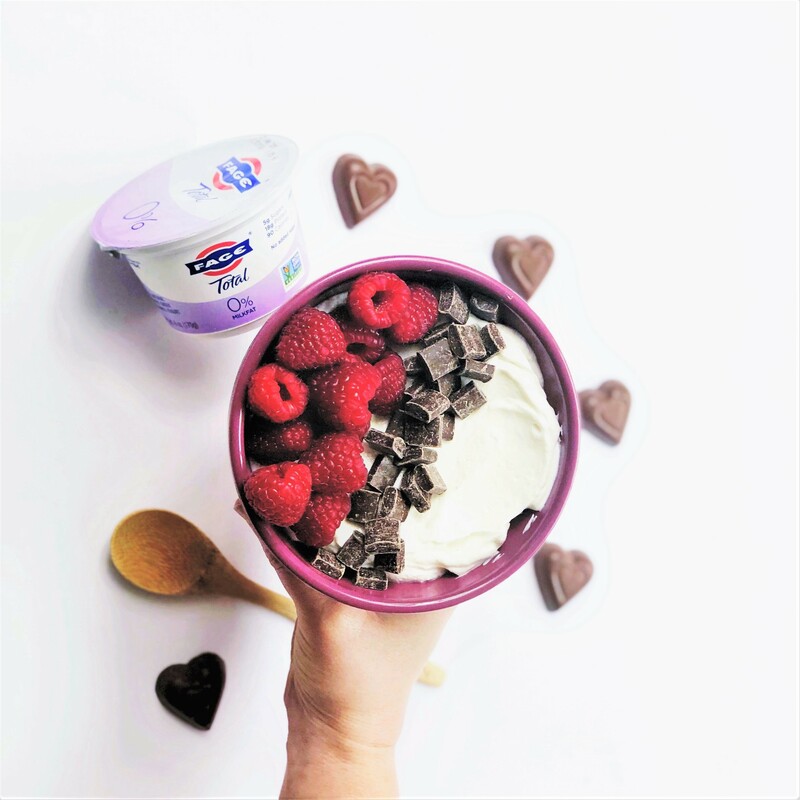 I love yogurt bowls and the chocolate and raspberry is perfect. This is a perfect, quick snack for Valentine’s Day! I’ll have to encourage our kids to make this for one another! I love yogurt bowls. I would eat chocolate any time of day. Great recipe. 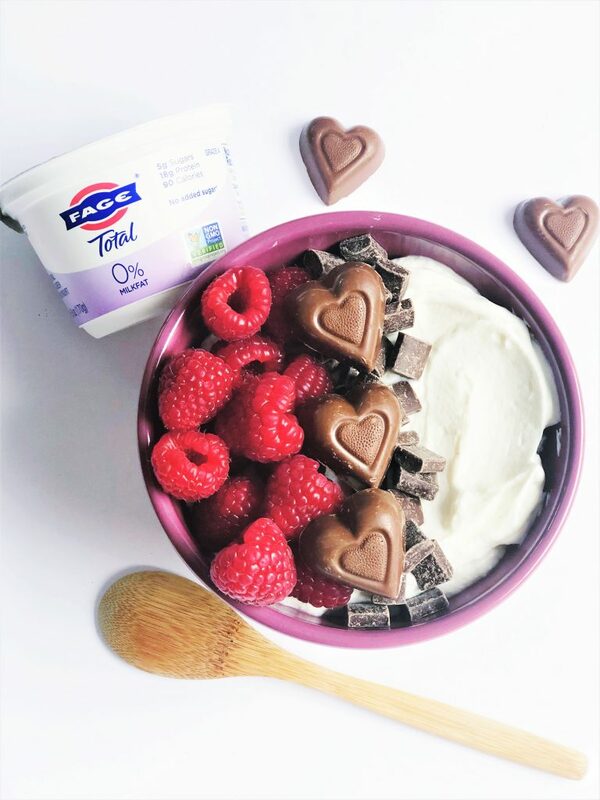 This yogurt bowl looks so tasty, love the chocolate hearts and slices, this healthy dessert will really spice up my Valentines..
Looks perfect for Valentines Day! I need to make more yogurt bowls! They’re so pretty but so yummy. This yogurt bowl looks so yummy and decadent (without the guilt). Chocolate makes everything better! I love Fage yogurt! This is such a delicious and healthy way to make a yummy Valentine’s Day snack! This is the correct way to enjoy yogurt. I see this brand all the time and I never get it! Will have to scoop it up and try eating it like this, yummy! Yum.. raspberry and chocolate really are a perfect combination! I love how you arranged your yogurt bowl. I love Fage and it’s fun to come up with different combinations to mix in. This is such a pretty bowl and yogurt bowls make the best light weight breakfast. This looks so yummy! I’d love to wake up to that on Valentine’s Day. Omg can we say yum!?! I just love anything with chocolate. Must give this recipe a try! Such a great way to kick start your V-DAY celebrations. Healthy & Delicious. Raspberry and chocolate? Wow! That is something unique. I love to try this yummy recipe. This looks amazing! I am going to have to try out a yogurt bowl. This is such a delicious combination! It sounds easy to make too!